1. Study the biology and mechanisms of liver development, liver regeneration and hepatocyte cell cycle regulation, as well as liver carcinogenesis using genetically modified mouse models. 2. Study the biological roles of novel genes involved in mouse development, physiological functions, and pathogenesis. 3. Investigate and identify molecular targets and agents for chemoprevention and therapeutic effects of liver cancers and other disease related processes such as ageing. 1. Establishment of mouse genetics platform. Since 2000, Dr. Tsai´s lab has established platform for mouse genetic modification methodologies including pronuclear microinjection of transgenic mice, embryonic stem cell manipulation and chimera production for knockout mice, as well as Cre/loxP-mediated chromosome engineering and conditional gene knockout. 2. Study the molecular mechanisms for liver regeneration and carcinogenesis, as well as chemoprevention of liver cancers using genetically modified mouse models. For the past five years since 2003, Dr. Tsai has established various transgenic mice, including HBV X protein transgenics, Aurora-A transgenics, ABIN-2 transgenics and BAC transgenics of ADH genes, and published 5 manuscripts related to this research direction. In addition, she has generated liver-specific androgen receptor knockout and beta-catenin knockout mice to investigate the effects of androgen receptor and beta-catenin on liver carcinogenesis. 3. Investigation of molecular mechanisms for genetic imprinting involved in the Prader-Willi syndrome (PWS) and Angelman syndrome (AS) using genetically modified mouse models. 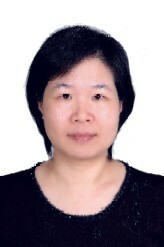 For the past five years since 2003, she has published 3 papers related to this research direction. 4. Improvement of current transgenic technology and generation of mouse models for investigation of novel gene functions. For the past five years since 2003, Dr. Tsai has published 2 papers related to this research direction. In addition, she has successfully filed two provisional patent applications in USA through the United States Patent and Trademark Office. One of the patent (United States Patent 7,067,715) entitled "Combinational Usage of Insulators and Coat Color Marker for High Efficiency Transgene Expression and Visual Genotyping in Mice" was approved on June 27, 2006. 1. Wu YF, Fu SL, Kao CH, Yang CW, Lin CH, Hsu MT, Tsai TF*. Chemopreventive Effect of Silymarin on Liver Pathology in HBV X Protein Transgenic Mice. Cancer Research (in press), 2008. 2. Liu SP, Li YS, Chen YJ, Chiang EP, Li AF, Lee YH, Tsai TF, Hsiao M, Hwang SF, Chen YM. Glycine N-methyltransferase-/- mice develop chronic hepatitis and glycogen storage disease in the liver. Hepatology 46: 1413-1425, 2007. 5. Li CC, Chou CK, Wang MH, Tsai TF*. Overexpression of ABIN-2, a negative regulator of NF-kB, delays liver regeneration in the ABIN-2 transgenic mice. Biochemical and Biophysical Research Communications. 342: 300-309, 2006. 6. Wu BK, Li CC, Chen HJ, Chang JL, Jeng KS, Chou CK, Hsu MT, Tsai TF*. Blocking of G1/S Transition and Cell Death in the Regenerating Liver of Hepatitis B Virus X Protein Transgenic Mice. Biochemical and Biophysical Research Communications. 340: 916-928, 2006. 7. Wu MY, Chen KS, Bressler J, Hou A, Tsai TF, Beaudet AL. Mouse imprinting defect mutations that model Angelman syndrome. Genesis. 44: 12-22, 2006. 8. Hsiao YC, Chang HH, Tsai CY, Jong YJ, Horng LS, Lin SF, Tsai TF*. Coat color tagged green fluorescent mouse with EGFP expressed from the RNA polymerase II promoter. Genesis 39: 122-129, 2004. 9. Chang CW, Tsai CW, Wang HF, Tsai HC, Chen HY, Tsai TF, Takahashi H, Li HY, Fann MJ, Yang CW, Hayashizaki Y, Saito T, Liu FC. Identification of a developmentally regulated striatum-enriched zinc-finger gene, Nolz-1, in the mammalian brain. Proc. Natl. Acad. Sci. USA. 101: 2613-2618, 2004. 10. Tsai TF, Bressler J, Jiang YH, Beaudet AL. Disruption of the genomic imprint in trans with homologous recombination at Snrpn in ES cells. Genesis. 37: 151-161, 2003.